Image: Photo by Dave J Hogan/Dave J Hogan/Getty Images. It seems like things are looking up for Michael Bublé and his family. Two years after his eldest son, Noah, was diagnosed with liver cancer, Noah is healthier, Bublé and his wife Luisana Lopilato have welcomed their third child, and now, Bublé is going on tour for the first time since Lopilato texted him just minutes before his 2016 performance on The One Show on BBC One in 2016 to tell him about Noah's diagnosis. According to E! News, Bublé will embark on a 27-stop U.S. tour called "Don't Believe the Rumors" starting on Feb. 13, 2019. The tour will kick off in Florida before moving up the East Coast and then across the country, wrapping up in Washington state on April 6. 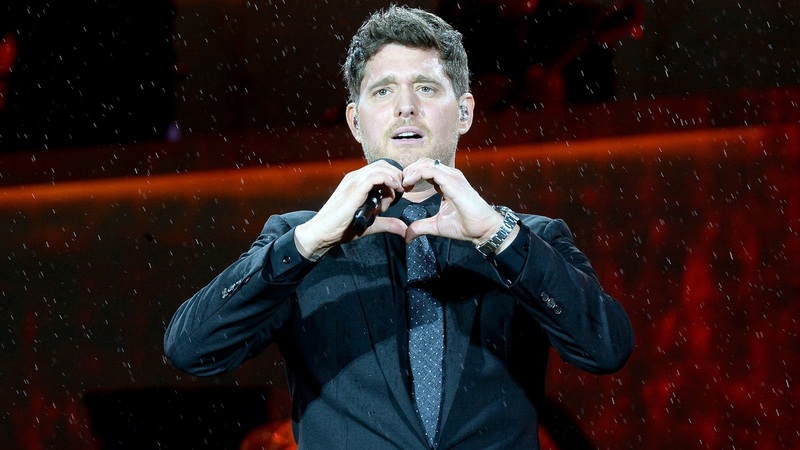 Following his U.S. tour, Bublé is also slated to do a series of shorter tours across his home country of Canada. Canadian dates are spread throughout April, July and August of next year. E! notes that "Don't Believe the Rumors" will be the sixth tour of Bublé's career and will support his new studio album, Love, which drops Nov. 16. Every full-price ticket purchased will include a CD or digital copy of the album. Fans can purchase tickets starting Nov. 19.